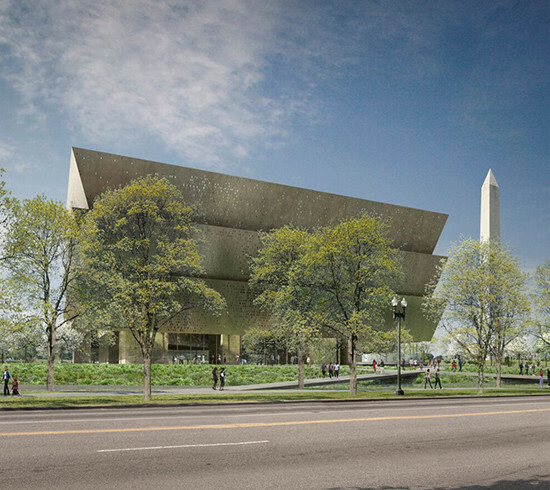 IMAGE: National Museum of African American History and Culture, courtesy of Freelon Adjaye Bond/Smithgroup. Explore Washington, DC through architecture! The 18th annual Architecture Week, organized by the District Architecture Center and the Washington Chapter for the American Institute of Architects (AIA|DC), starts on April 7 with “Sip & Sketch with Moleskine,” an event that will feature sketching activities for participants of all skill levels. The following 10 days will be filled with occasions for people of all ages to enjoy architecture lectures, a book club, and tours around the city. Tours include new and historic projects, with a special “Saturday at the Mall” mini-series on April 9 that features destinations on the Mall including an exclusive glimpse at the new National Museum of African American History and Culture, scheduled to open September 2016. Lectures include a DAC Design Lecture with Boston based Ann Beha Architects at the District Architecture Center. Public events held throughout Washington, DC will be of interest to visitors and residents alike, architecture enthusiasts, children, and, of course, architects looking for exciting opportunities to earn learning units. With over 25 free and low cost events, and special pricing packages, there’s something for everyone during Architecture Week. View the calendar for more information and to register for events www.aiadc.com/architectureweek.